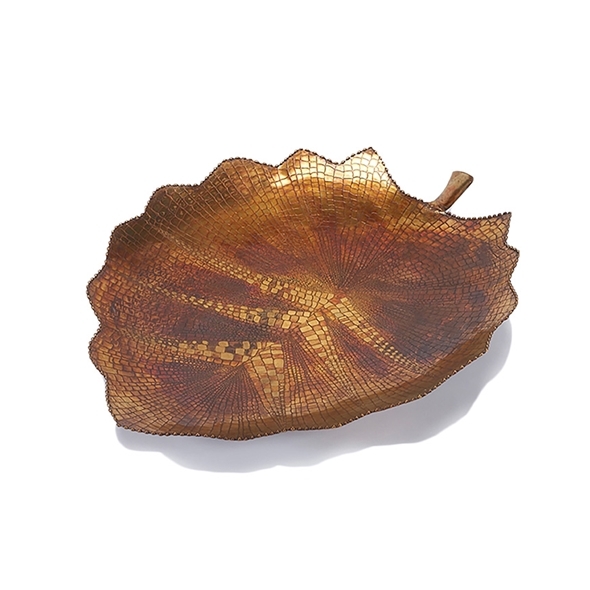 Made from solid brass, our beautifully etched Birch Leaf tray is a real eye-catcher. The subtle coloring in the brass add more visual interest. The tray has three brass feet and makes a lovely table centerpiece. Size: 22" x 18" x 2"